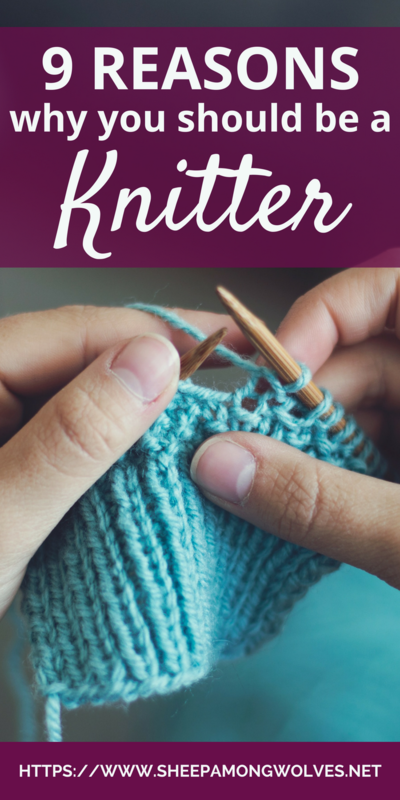 9 reasons why you should be a knitter: #1 It’s relaxing and healthy! 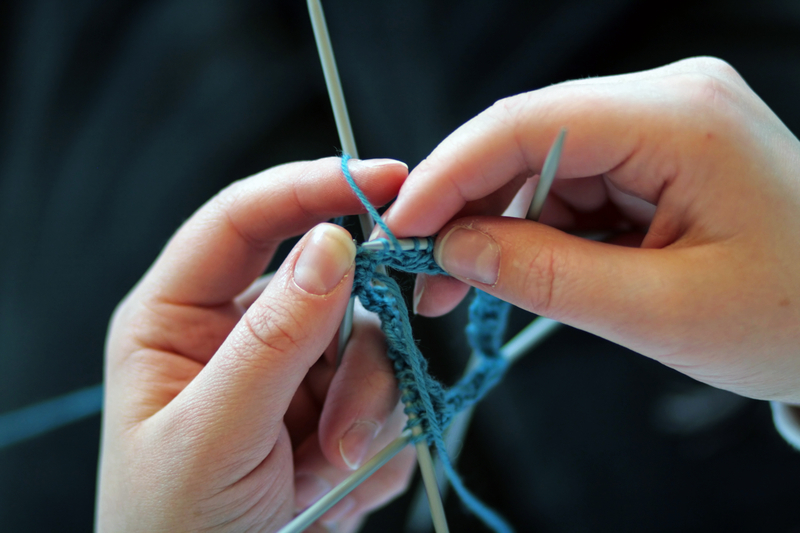 Do you know someone who is considering learning how to knit but who hasn’t taken the plunge? Someone, who you would like to introduce to this wonderful past time that is so much more than a mere hobby? Someone, who is wondering what’s so great about being a knitter? But you just can’t find the right words, the reasons that might sway them, persuade them to try, convince them that maybe there is more to being a knitter than they first believed? Then you have come to the right place. 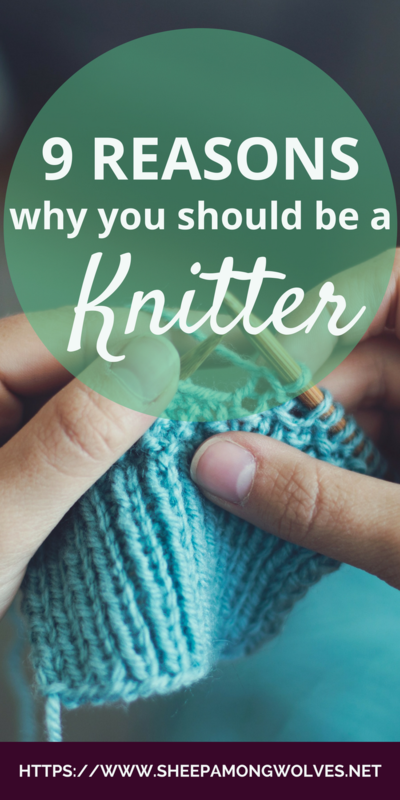 Because here are X reasons why you should be a knitter. There are multiple reports of knitting working as a mood enhancer. Even just a few minutes a day can help people with depression and anxiety. The act of creating something with your own hands is rewarding, gratifying, it makes you happy. 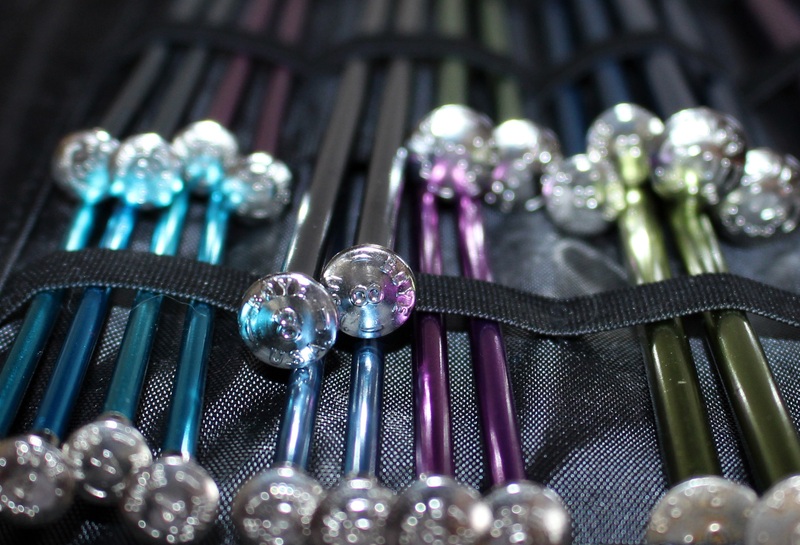 It can even give relief to people with chronic pain as the meditative aspect of knitting keeps your mind focused on your needles and draws it away from pain. 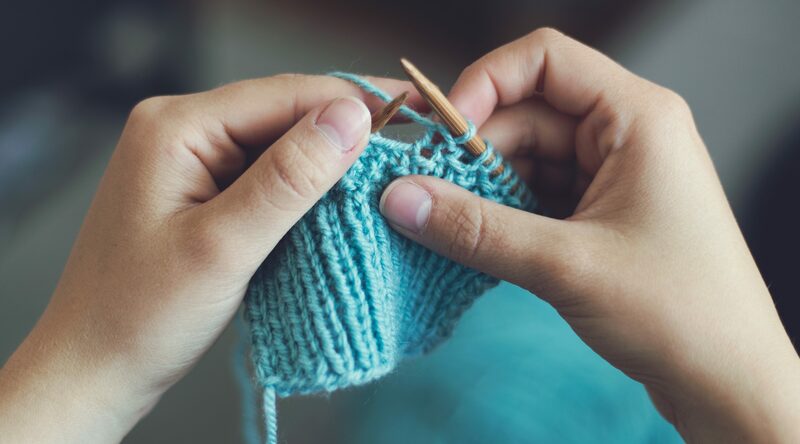 Knitting in your middle age (and later) can also decrease the odds of later cognitive impairment (like dementia) by up to 50%. And the intellectual stimulation of knitting and using your hands in a productive way will keep your brain active and nimble through all stages of your life. Some even call knitting a “positive addiction“. An addiction you can use to replace a negative one (smoking for example), alleviate withdrawal, craving and single-minded thoughts of that which harms you. And if you’re knitting while watching television you have less time to snack. And, of course, if you’re knitting while watching television you have less time to snack. And you keep your hands moving which should burn more calories than being motionless, right? Knitting is really easy to learn. To start you really only need to learn how to do a slipknot, a knit stitch and how to pull one stitch over another. And bam you can cast on (knitted cast on), knit an entire thing you can use (garter stitch scarf, anyone?) and cast off. There really isn’t much to it. And you can even teach yourself how to do it. There are loads of resources, both free and paid, and videos you can use (youtube is your friend). Anyone can learn how to knit. Knitting can be as challenging as you want it to be. You can learn new techniques, create your own patterns or resize and alter existing ones to fit your wants and needs. It is both a mathematical and a creative challenge and never really gets boring. It’s not just that knitting never gets boring. It also helps you fight boredom. How often do you have to wait somewhere and keep checking the time only to find it moving at a snail’s pace? How often have you lamented over all that wasted time you spend just sitting around being bored out of your mind? If you were keeping your hands occupied with knitting you wouldn’t be bored. And you wouldn’t waste that time. You are creating something. And knitting is very portable. You can take it anywhere. You can even knit while you walk, read or float on a lake. Nothing says “I care about you” as something you made with your own hands. You spend hours knitting items for the people you love and care about. You wouldn’t spend all this time and effort on someone you don’t like, would you? 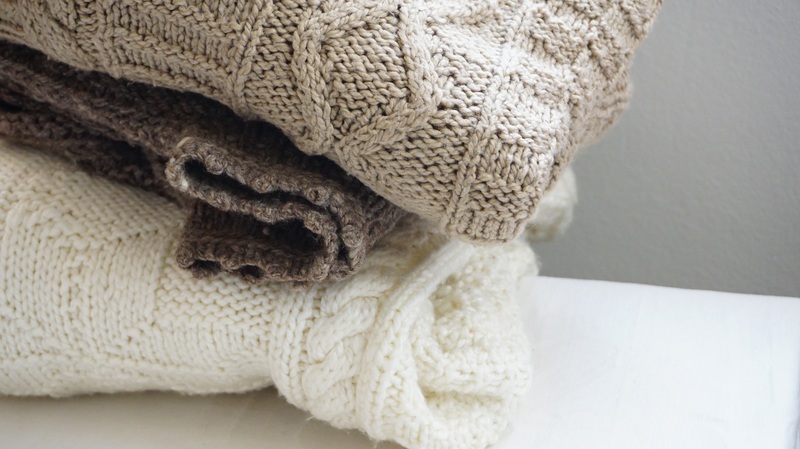 Also, knitted items can hold great sentimental value and keep your memories alive. If you knit your baby a blanket, you’ll think of the time you spend knitting that blanket while you were still pregnant every time you wrap your baby in it. If you knit your baby a blanket, you will think of the times you wrapped your (then) baby in it, every time your (now) child drags that blanket around or uses it to play ‘ghost’ or hide and seek. If you knit your baby a blanket, once they grow up that now adult person might wrap their own baby in that same blanket you knit with all your love and hopes for the future. For similar reasons knitting something for charity is a wonderful thing. You are not simply giving something that will help keep people in need warm. You are giving your time and you are actively thinking about those people in need, considering their needs in your effort to help. You can knit yourself clothes that actually fit and match your personal taste. That is why I took up knitting again in my adult years. I couldn’t buy gloves that fit my hands (too large and slim). And I was tired of my hands being cold in winter. So, I knit myself some. Store bought clothing doesn’t fit everyone’s proportion. And trends rarely match everyone’s tastes. If you make your own clothing you can finally own clothing that you will truly enjoy. It may not be as fast or cheap but it is entirely yours and it feels great to wear something you made yourself. It’s also a way to be kind and loving to yourself! Knitters are not all alike. There are geeky knitters (me for example), musical knitters and sporty knitters. There are knitters with children and without. Young and old (and everything in between). Knitters are actors, writers, musicians, teachers, store clerks, taxi drivers, policemen and women, firemen and women, doctors, midwives, astronauts. Knitters of all religions, ethnicities, and backgrounds. Knitters with allergies, handicaps or chronic illnesses, healthy knitters, knitters who survived something terrible. Knitters from all over the world. The possibilities are endless. But all those very different people are all brought together by knitting. You will be hard pressed to find other situations where you have the chance to meet that many that different people. And meeting knitters is relatively easy. 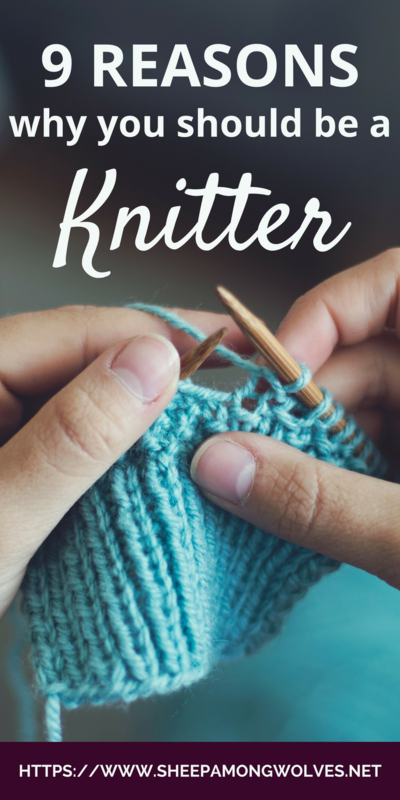 Even if you can’t manage to find a knitting group that matches your situation (like me, getting the wolflings to bed is not for the faint of heart; good thing I have knitting to soothe my nerves), you can easily meet knitters online. There is, of course, Ravelry but you can also connect to knitters in various other places like Twitter, Google+, Facebook, on various blogs like this one and other online communities. Knitting is social. You can learn from other knitters and help others out, in turn, you can easily knit while you talk and share your experiences and projects. Knitting enjoys company. There is the matter of the stash. Almost every knitter has one. Some small, some large, some bigger than you could ever hope to use up in a lifetime. Yarn is pretty and soft and smells wonderful. There are very few things that brighten up a gray day more than beautiful, colorful, hand-dyed yarn. And a skein or ball of yarn has seemingly infinite potential of what it can turn into. It’s almost magical. But there are more beautiful things! Stitch markers, project bags, needles, tape measures and beads. Even things that are not directly related like T-shirts and coffee mugs! You will never run out of ideas for your birthday wishlist. 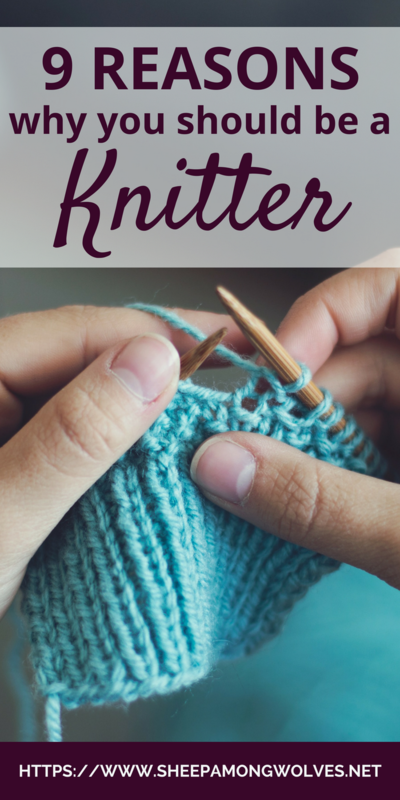 9 Reasons why you should be a knitter: #8 collect all the pretty things! And last but not least: Knitting is simply fun! I enjoy watching my projects grow, watching that piece of string turn into something that can be used or worn. It truly is magic. I enjoy the rhythmic motions, feeling the yarn glide through my fingers, watching the needles move. It’s fun to test how fast I can knit, to learn something new and to continually broaden my horizons. Sometimes you feel downright brave for trying a new technique that seemed scary (steeks, anyone?). You feel accomplished for having finished that second sock. You feel proud for having completed that cabled sweater. And all of that makes knitting fun. What is your favorite reason to knit? Why did you start? Who would you love to convince that picking up knitting could be one of the best things they ever did? Please let me know in the comments below. That’s it for this Tuesday’s post. 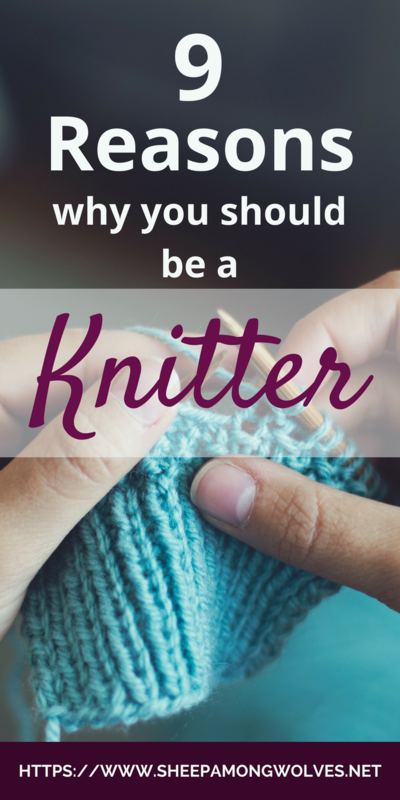 I hope you enjoyed my take on reasons to be a knitter. I’m planning similar segments of enabling in the future, so stay tuned!